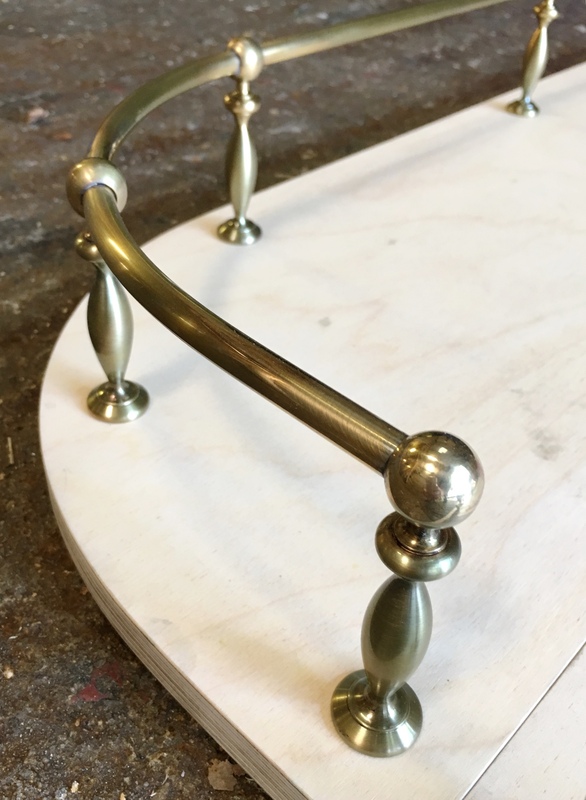 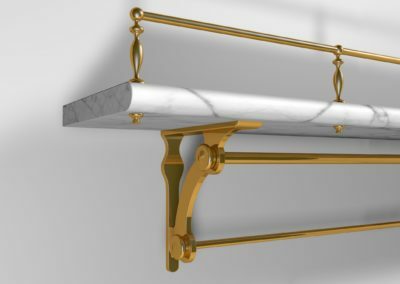 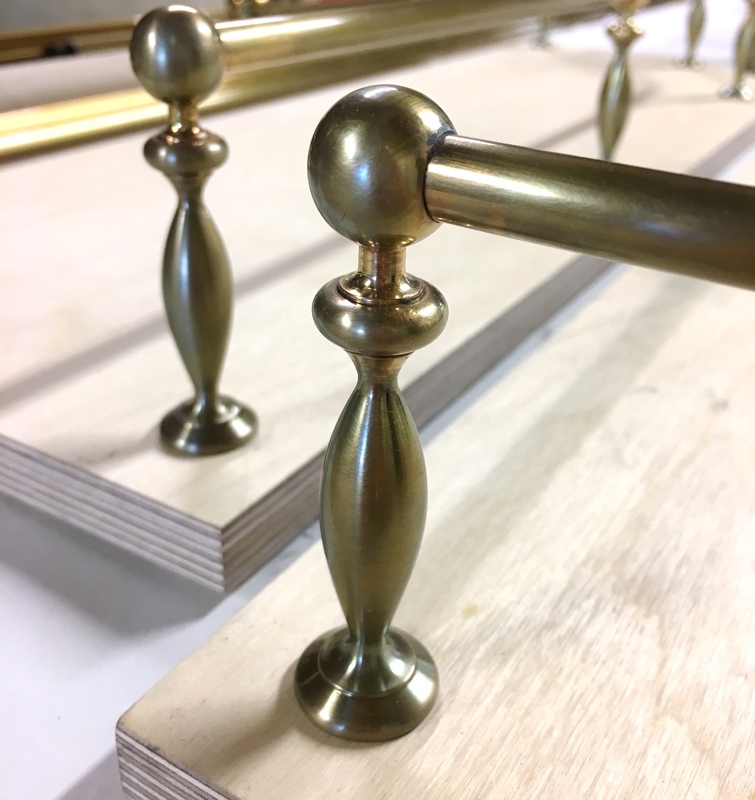 Think delicate, elegant and dainty with equal measures of sturdy, strong and high quality… this was the goal for a private client’s kitchen gallery rails. 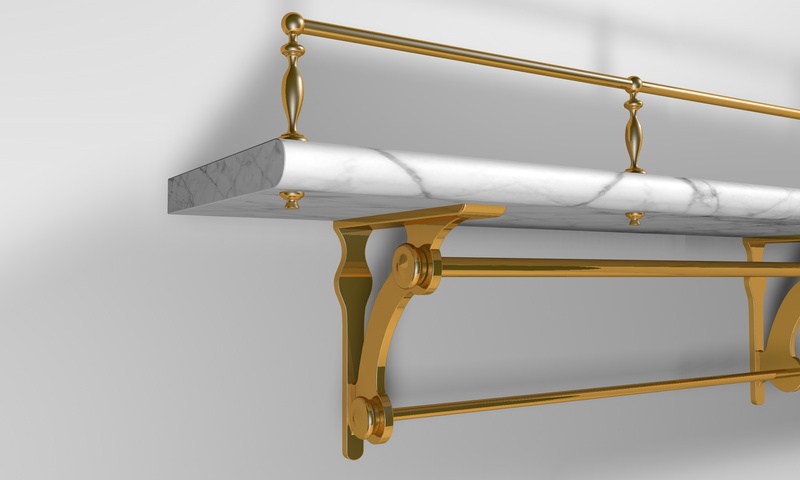 A well-known interior design house approached us for a variety of items for the re-design of their private client’s kitchen. 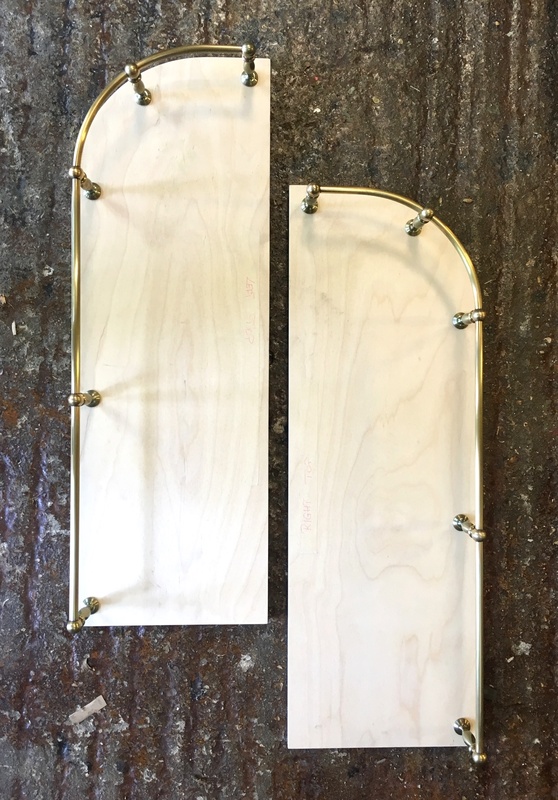 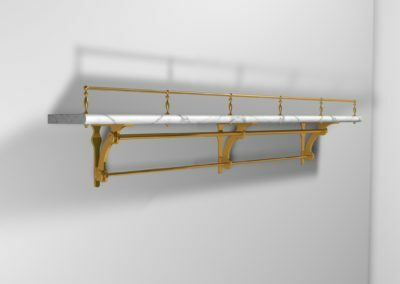 Of which, one request was for the production of custom-designed and made gallery rails for a matching pair of shaped marble shelves, to be installed either side of the cooker hood (also designed and hand-made by AND) above the hob. 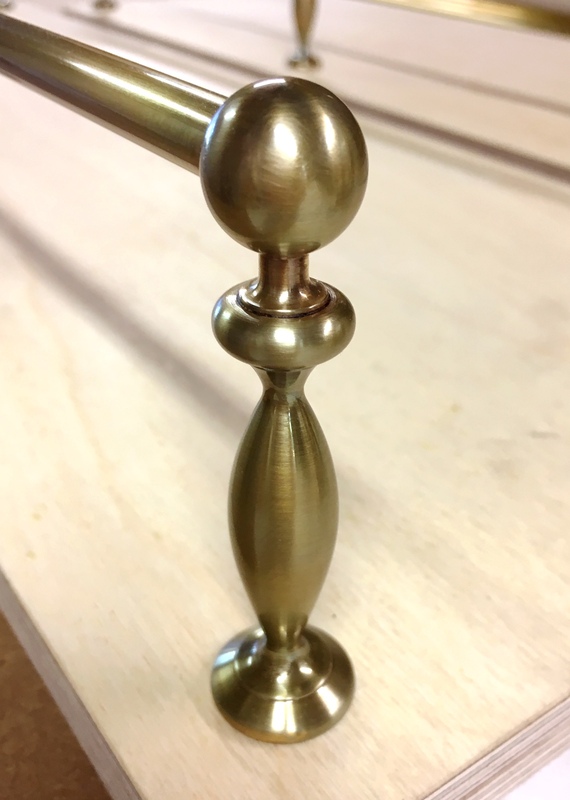 The gallery rail supports were designed from top to bottom, with great care and attention paid to the overall shape, including the nuts which hold the rails to the shelves… (the nuts sport hugely satisfying ‘dimples’ on their bases, which can be appreciated when tightening them into place!). 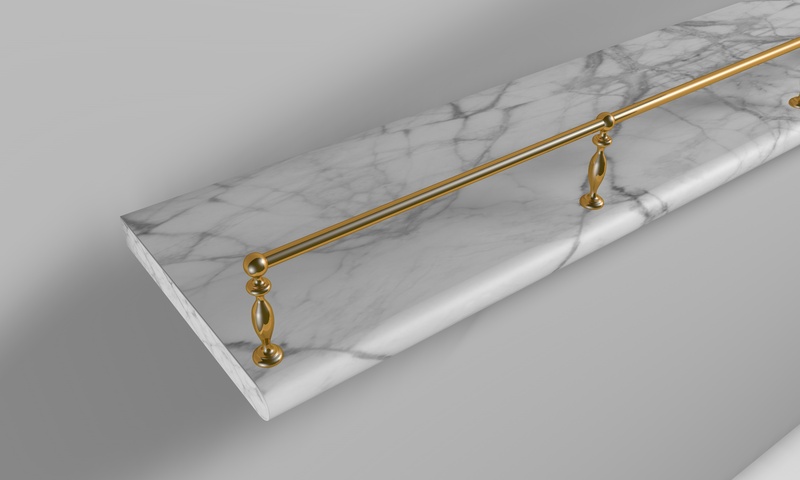 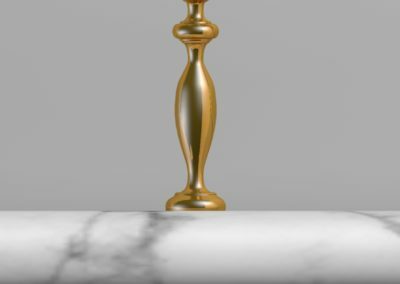 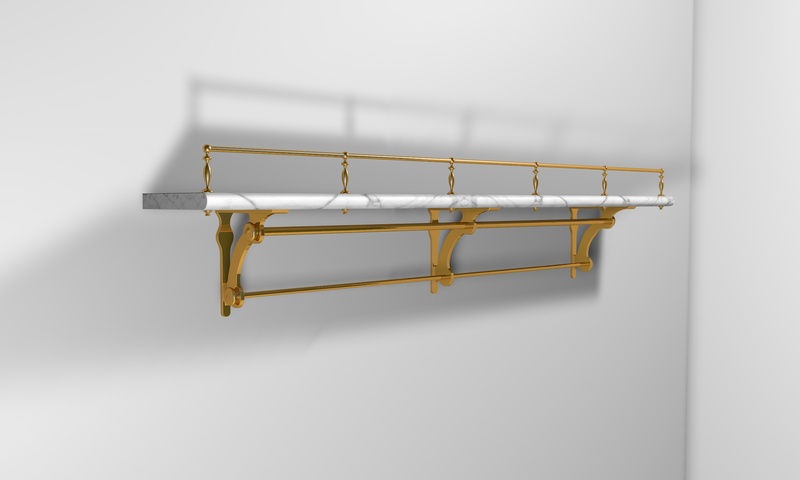 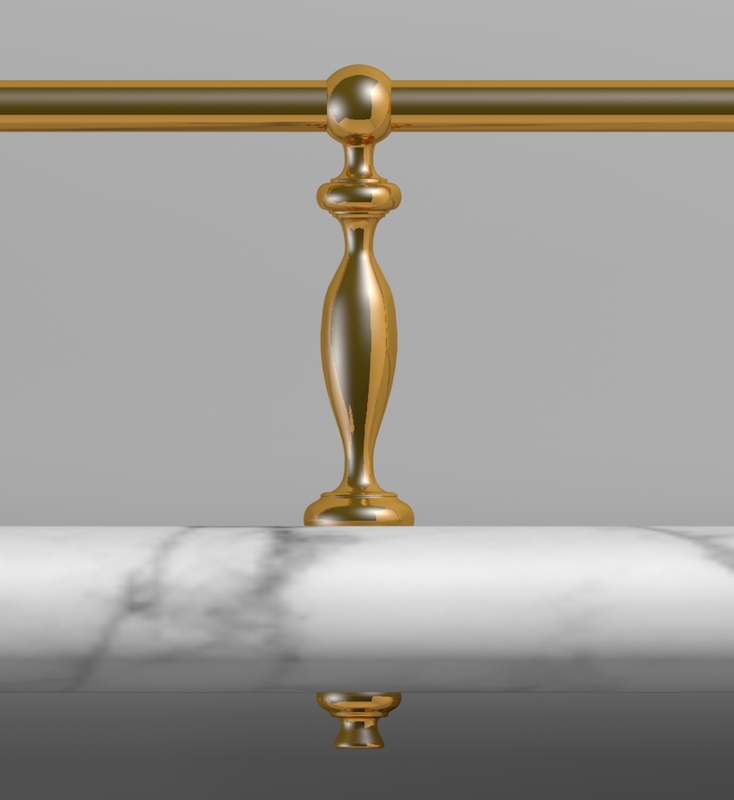 Our team created 3D visuals of the whole rail so the client could see exactly what would be made, prior to production. 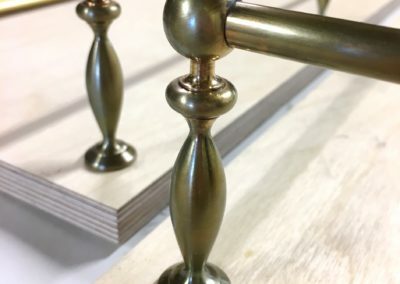 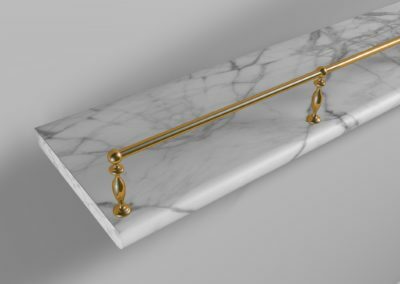 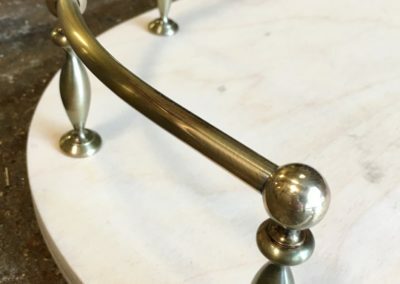 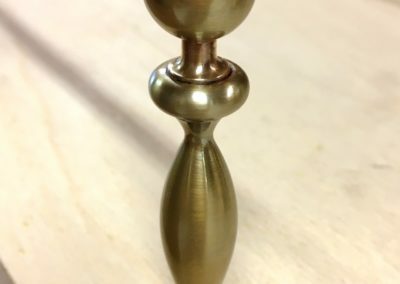 The gallery rails are unique also in their finish, as a particular patination was developed to hone with the overall kitchen scheme… the resulting patination is an extremely pretty and delicate ‘petrol’ brass finish with hints of pinks and greens. 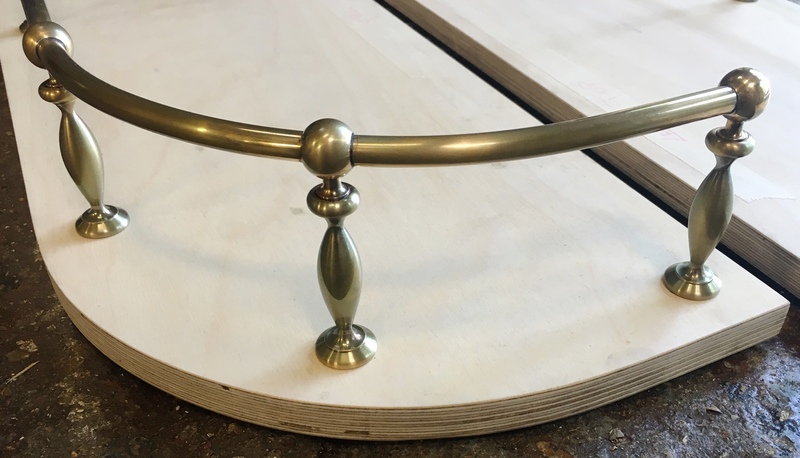 Do you have a similar project in mind for your house, office or boat? 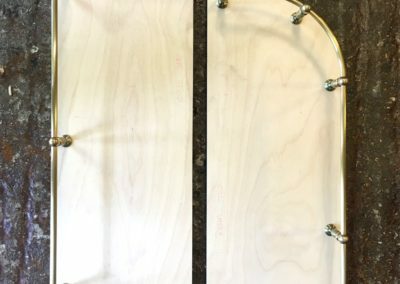 If so, we’d love to hear about it… please get in touch!